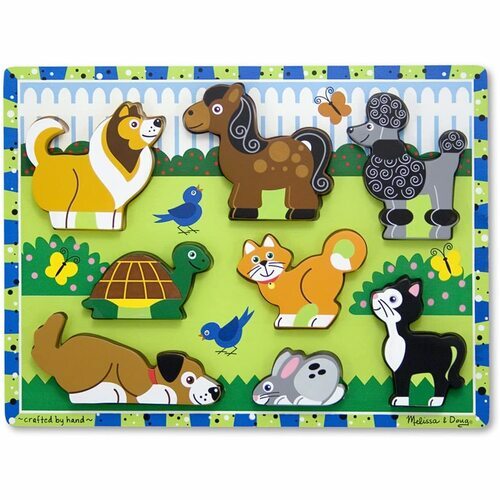 Happy pets play in the yard on this extra thick wooden puzzle that includes eight easy-grasp, chunky pet pieces. 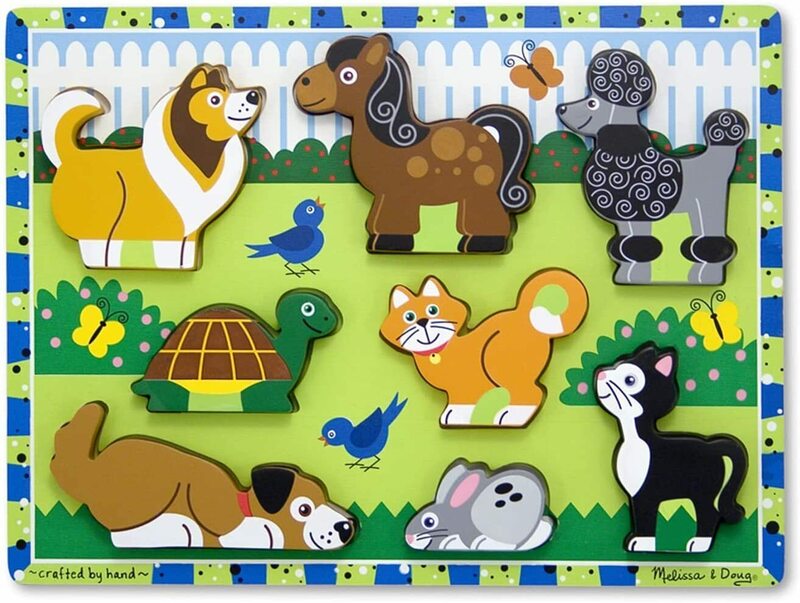 Each pet animal can stand upright for pretend play and has a full-colour, matching picture underneath. 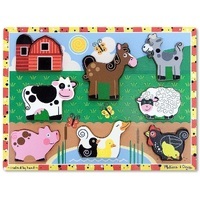 Encourages eye-hand, fine motor and creative expression skills.